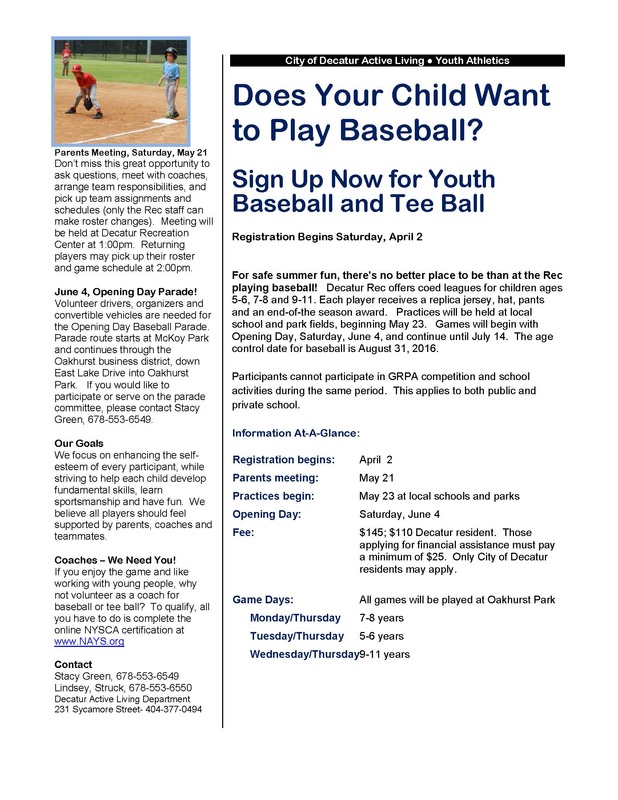 Time To Register for Youth Baseball and Tee Ball! Don’t miss out! For more information contact Stacy.Green@decaturga.com or Lindsey.Struck@decaturga.com.